Baltic Pine - treated with a variety of non toxic wood stains. New baltic pine flooring treated with Kunos Natural Oil sealer #244 in various stains. 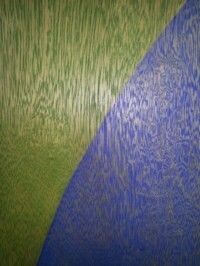 Celery Pine- treated with a range of Kunos non toxic wood stains. Shop floor - 5% Vindo Green Paint added to Ardvos Natural Hardening Oil. This decade old slab was treated with Ardvos Natural Hardening oil #266 with 5% Vindo Natural Oil Paint #629 Green added, giving the concrete a different colour hue. Shop floor - After 2 years the colour has increased in depth. After 2 years the colour has increased in depth and continues to be an easy to maintain floor. 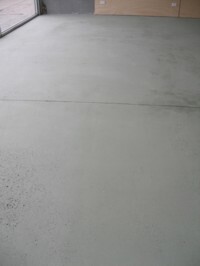 Concrete and Ply - Both treated with the Kunos oil. Front door- Treated with the Kunos Mahogany.The frame is now protected against UV rays and weathering. Kaldet Vs Kunos White non toxic wood stain. Panels treated with Kaldet Rosewood finished with kunos clear. Koimos Black Vs Clear oil. Koimos Black non toxic wood stain VS clear oil. 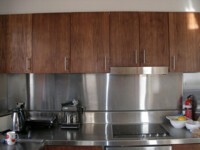 Treated with a range of Kunos non toxic wood stains. 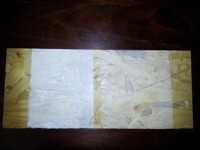 magnesium oxide board ply in White and frames in Alis Boxtree stain. No peeling or cracking will occur. 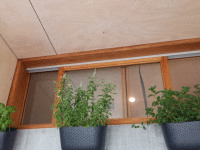 Magnesium oxide board ply in White and Window frames treated with Alis boxtree stain. No peeling or cracking will occur. OSB Vanity - Treated with Kaldet Dark Teak Transparent Wood stain, then with the Kunos Natural Oil Sealer. Treated with Kaldet Dark Teak Transparent Wood stain, then with the Kunos Natural Oil Sealer. Ply Ceiling - A great way of lightening up ply is to use the Kunos in the white stain. 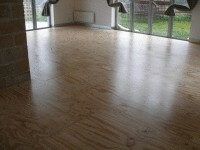 A great way of lightening up ply is to use the Kunos in the white stain. Being transparent, the natural markings are highlighted however, it won’t go the orange colour of traditional varnish. Being transparent, one still see the natural markings however it won’t go the orange colour of traditional varnish. 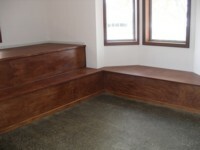 Ply with Kaldet wood stain. 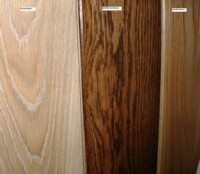 Radiata Pine in showroom - various stains. 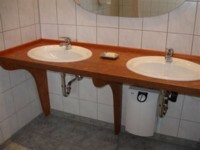 Recycled Tallowood in Showroom - 2 different stains. 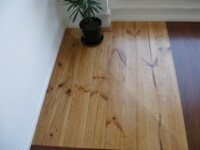 Vic Ash - Stained with Kaldet Rosewood stain to match Jarrah flooring. 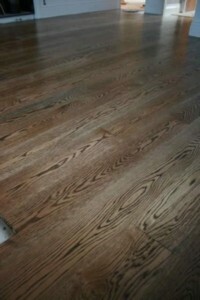 Vic Ash- Stained Rosewood, treated with Kaldet transparent wood stain #270-082 to match Jarrah flooring. 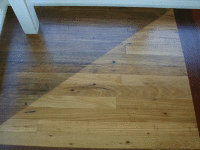 American Oak flooring treated with Kunos Smoked oak stain. Smoked Oak on American Oak - Staining highlights the timber features however given the timber a different colour hue. American oak flooring sanded and oiled with the Kunos Natural oil sealer in the smoked oak stain. 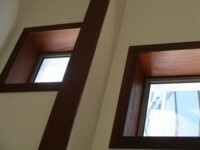 Highlights the timber features however given the timber a different colour hue. You can easily create a different look - Vic Ash in Bayswater Showroom, treated with various stains. 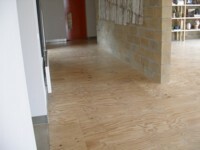 Ply - Treated with Kunos Natural Oil stain in white. Treated with Kunos Natural Oil stain in white.